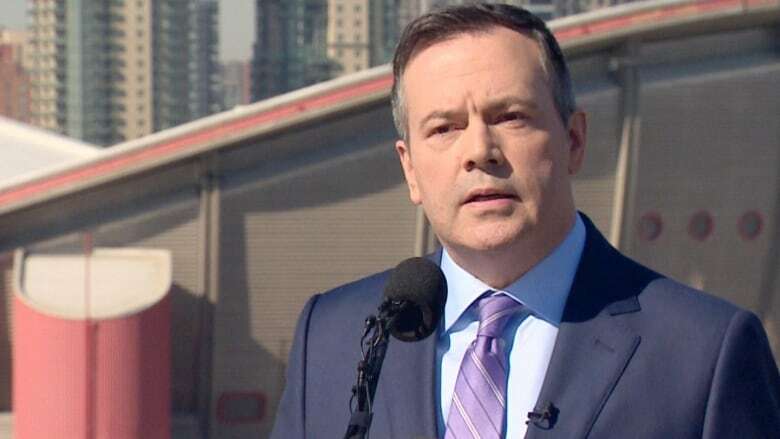 UCP Leader Jason Kenney said his party does not have a "rigid, ideological orthodoxy that everybody has to sign up to" about climate change, although he feels action is needed to tackle the issue. The leader of Alberta's United Conservatives says he believes humans are causing climate change and action is needed to tackle it, but those who disagree still have a place in the party. "There's a spectrum of views about this. This is not a party with some kind of rigid, ideological orthodoxy that everybody has to sign up to," Jason Kenney said after laying out his plan to fight for the energy sector. "I think broadly the United Conservatives accept the scientific consensus around anthropogenic climate change." Kenney said his party would present a "common sense" plan to control carbon emissions later in the election campaign. He was in Calgary Thursday, using the backdrop of downtown office towers to talk about his economic plans. He has said his first order of business, if elected premier April 16, will be to scrap the NDP's carbon tax. The governing party misled voters by making no mention of it in its 2015 platform, he added. 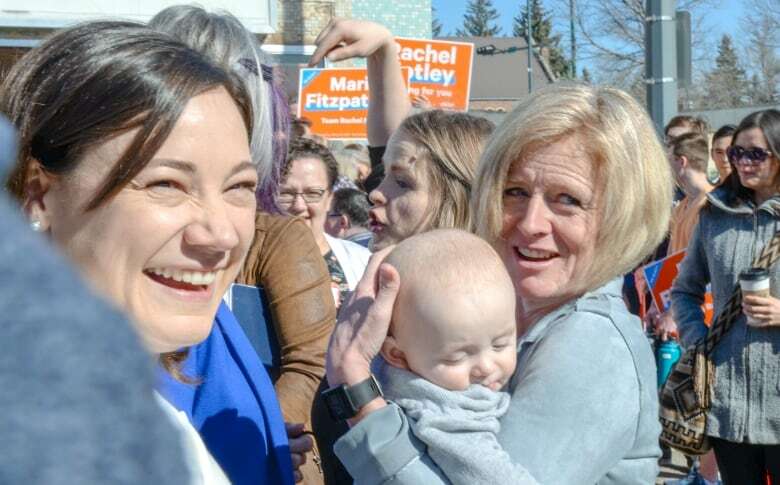 Speaking at a senior's centre in Lethbridge where she promised 2,000 new long-term care beds, which would cost $170 million, NDP Leader Rachel Notley lashed back at that contention. She said her party signalled all along that serious climate action was in the offing and the broad-based tax was one of an expert panel's recommendations months later. "This plan that we came up with was the right balance," she said. A UCP government would also call a referendum on equalization if what he dubs the "no more pipelines" law hasn't been mothballed, and if there is still no progress on pipelines. The matter would be put to voters on Oct. 18, 2021, — the same date as the next municipal elections in Alberta, he said. The federal equalization program is meant to even out fiscal disparities between so called "have" and "have-not" provinces. Despite its economic doldrums, Alberta remains a "have" province. Kenney was a member of Parliament in the former federal Conservative government when the current system was put in place. If elected, he would have to take the referendum results back to Ottawa for debate. But Kenney said Albertans pride themselves of being able to share their wealth. "What we can no longer tolerate is governments and politicians in other parts of the country benefiting from Albertans' hard work and our resources while doing everything they can to block those resources." He also vowed to turn off the taps to B.C. if the Trans Mountain pipeline is blocked. The NDP released a 10-minute video showing decades-old footage of Kenney boasting about a campaign to overturn a law extending hospital visitation rights to gay couples during the 1980s AIDS epidemic in San Francisco. The video also showed recent interviews with people touched by the crisis reacting to Kenney. Kenney has said in the past he regrets comments made in his earlier days about overturning a law extending hospital visitation rights to gay couples during the San Francisco AIDS epidemic. "It's true that back when these were matters of political contention, that I supported the traditional definition of marriage, as did virtually every political party and political leader in every country in the democratic West," he said. "It's also true that ... the consensus on that question has changed dramatically and I accept that." He says most voters would prefer the candidates keep to the issues, rather that personality attacks. "I really don't think Albertans want a personality contest they want the economy to get back," said Kenney. "They want jobs back. They want a credible plan to get our economy working again and to get pipelines built. They don't want name calling." Alberta Party Leader Stephen Mandel said Thursday he would double the number of educational assistants in schools. He also took time to highlight racist graffitti sprayed on a candidate's campaign sign in northwest Calgary overnight. Calgary Edgemont Candidate Joanne Gui awoke to find racist scarwled across one of her signs. 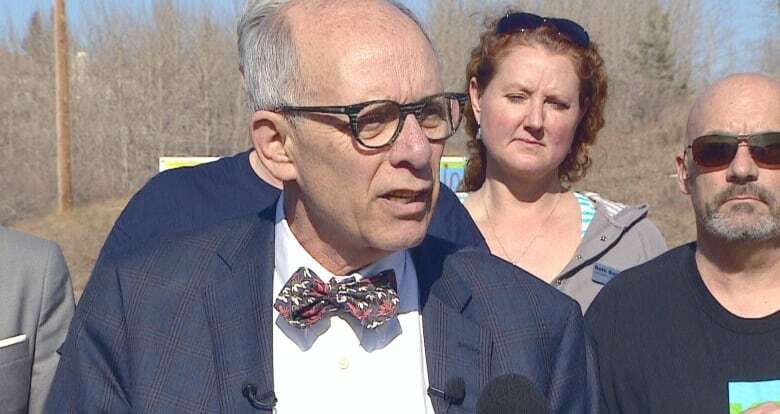 It prompted party leader Stephen Mandel to come to Calgary for his denouncement. Alberta Liberal Leader David Khan says he would improve child welfare, education and justice for Indigenous people if his party were to win the April 16 election.